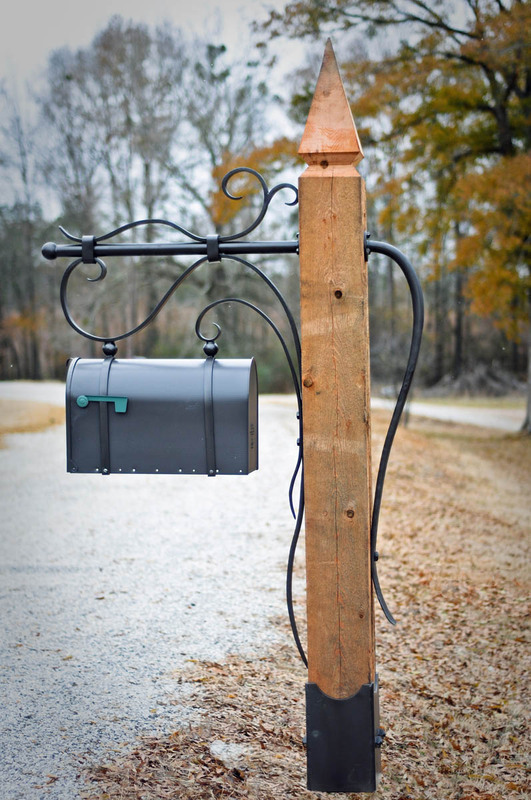 The Flowing Winds Mailbox was designed for a charming family farmhouse. 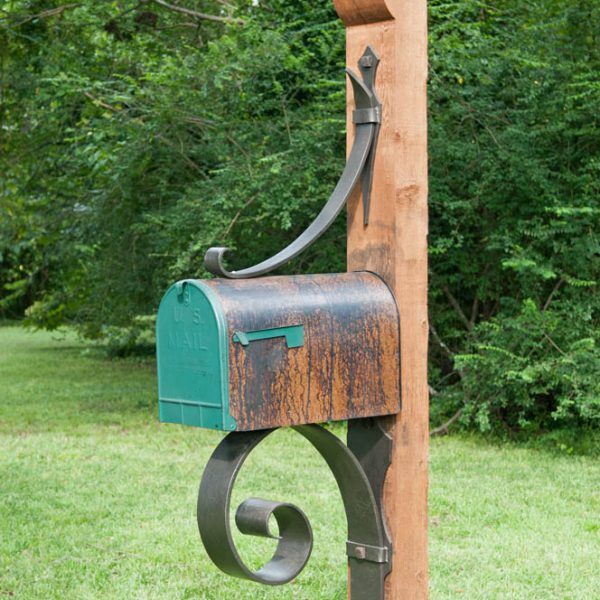 The 8 ½ foot tall cedar beam lends a stoic support for the fluid ironwork was inspired by the nearby windblown fields. 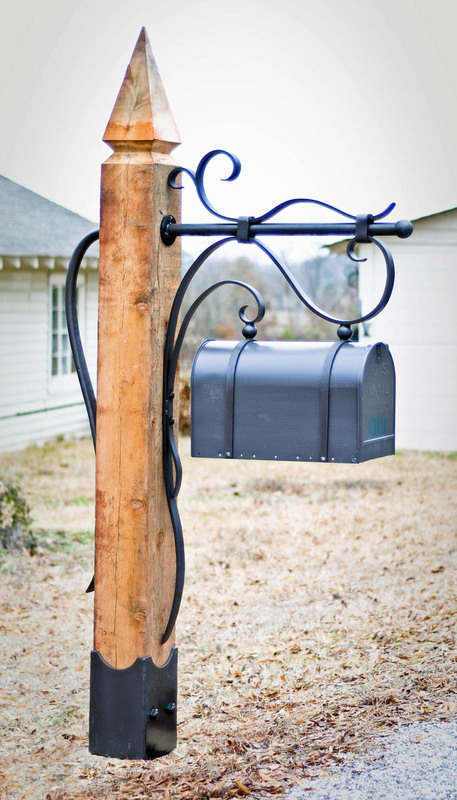 The large rural mailbox is painted to compliment the ironwork. 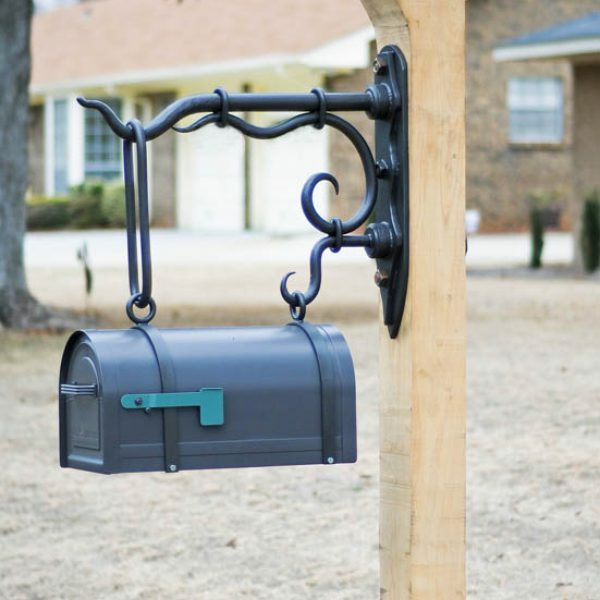 The Flowing Winds Mailbox is available as the complete assembly or, for those who want to use their own wood, the ironwork with the mailbox is available.